This piece is a commission, revisiting the subject of a painting from a few years ago that was destroyed in a fire. I love how color bounces around on these white plates. 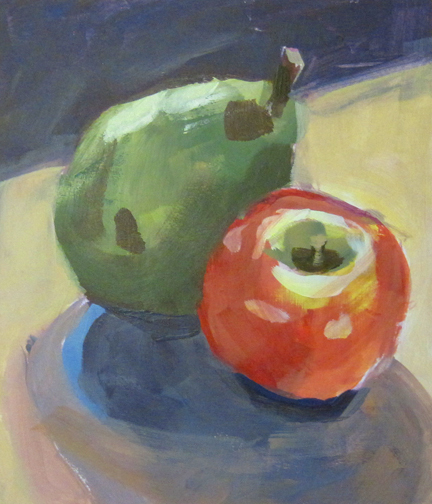 This entry was posted in fruit, The Anderson Family Painters, Uncategorized and tagged Deb Anderson, fruit, oil painting, Still Life. We just returned from a road trip to Rocky Mountain National Park. 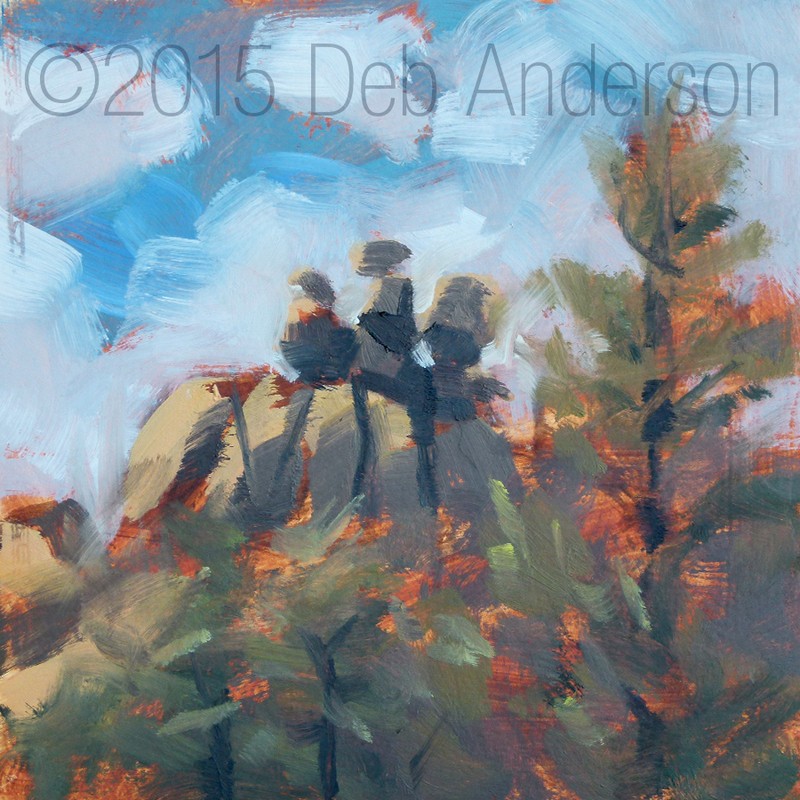 I did a little plein air painting and sketching, also hiking, rock climbing and relaxing :). 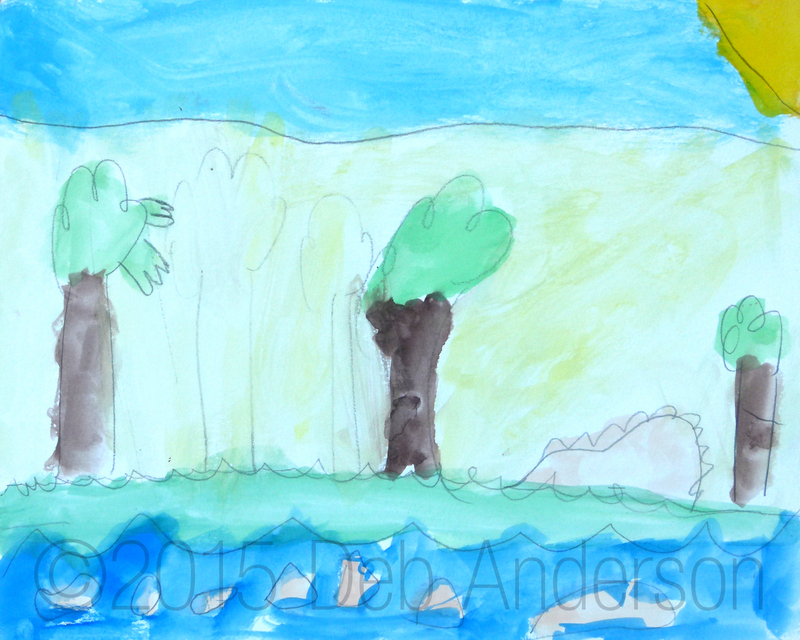 Here are two more sketches, one watercolor and one quick oil, and two watercolor paintings by the girls. I’ve nearly finished two studio paintings based on our trip, so check back soon for more Rocky Mountain goodness. 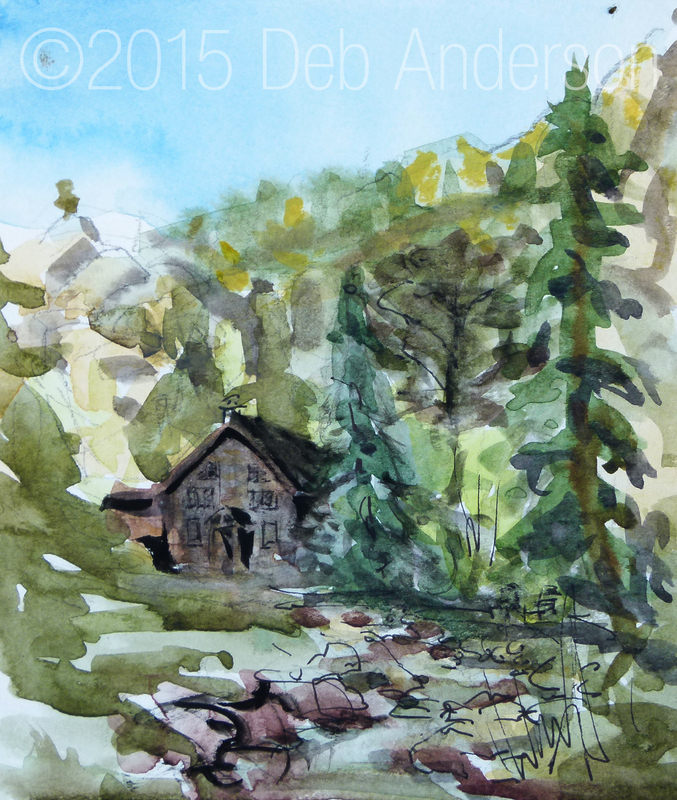 This entry was posted in Plein air, Sketch, The Anderson Family Painters and tagged Deb Anderson, oil painting, plein air, Rocky Mountain National Park, watercolor. 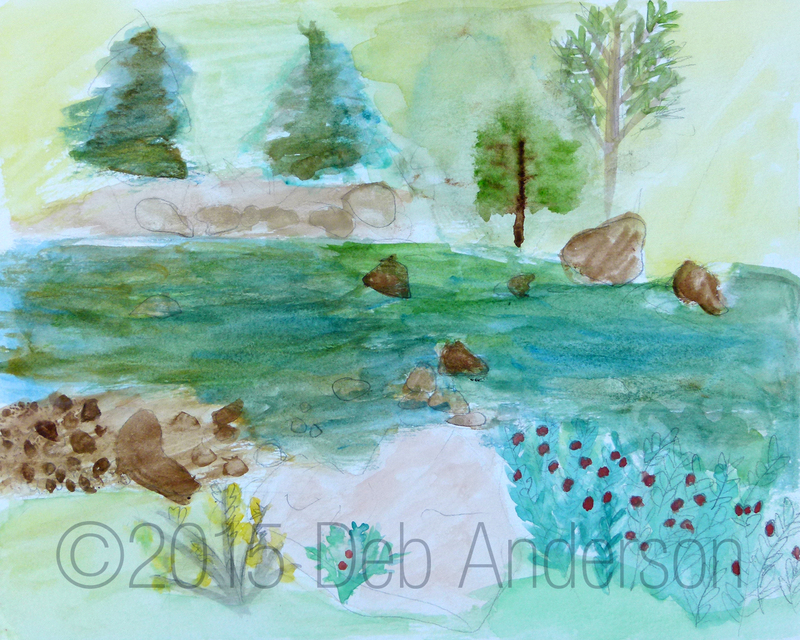 Memorial Day – the girls wanted to try plein air painting in the backyard, in the heat. I felt a bit wilted by the time they got going. 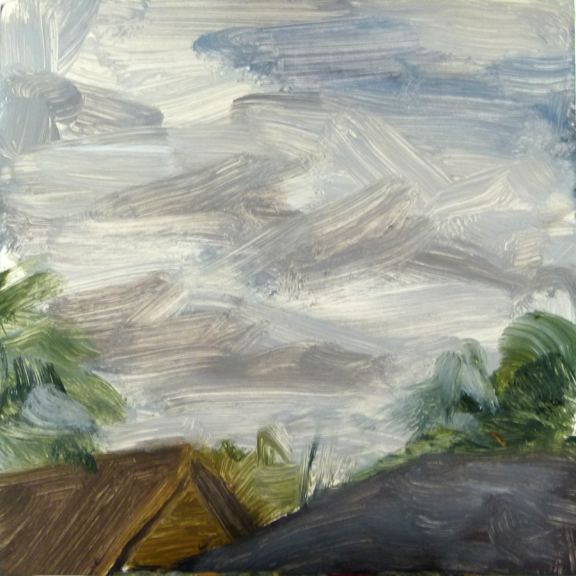 I am not happy with my very quick cloud study, but I love the girls’ paintings. 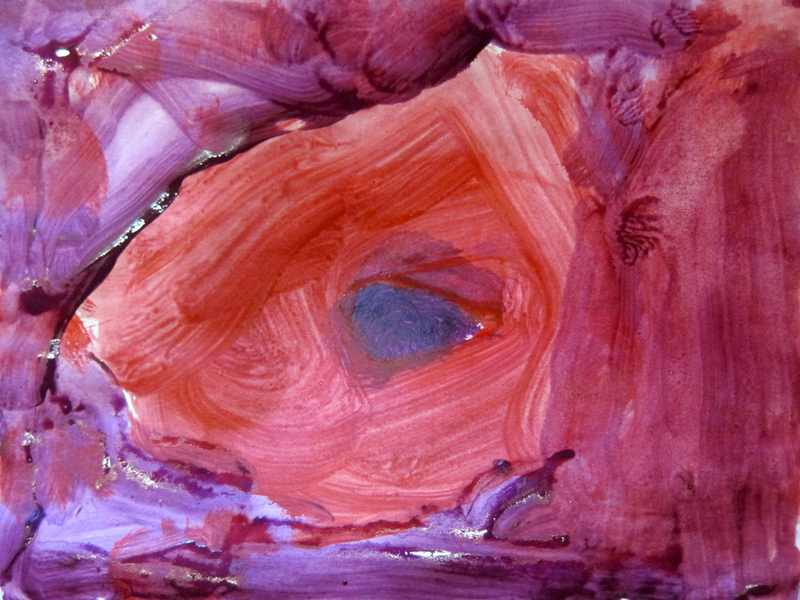 This is Meredith’s first try with oil paints. Holly says hers is a sculpture. I’ve been admiring the paintings of Roos Schuring, a plein air painter in the Netherlands. I’m amazed by her work, and I love watching her video demos. 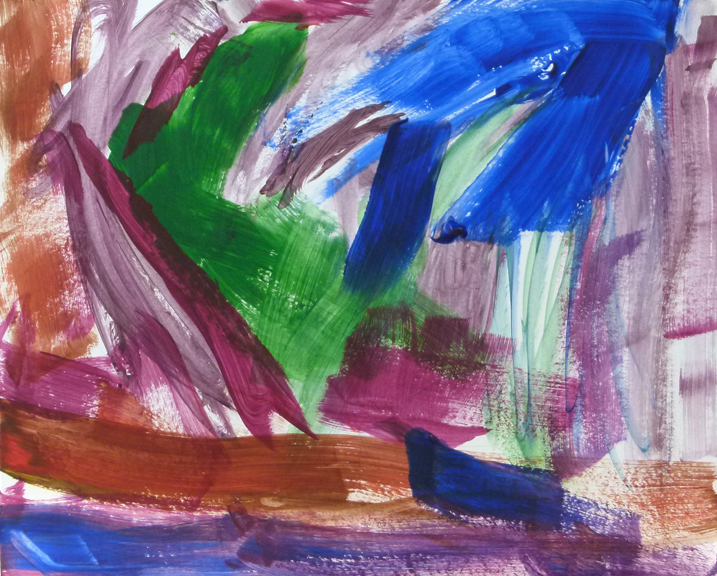 This entry was posted in landscape, oil, Painting with children, Plein air, The Anderson Family Painters and tagged Deb Anderson, landscape, painting with kids, plein air. 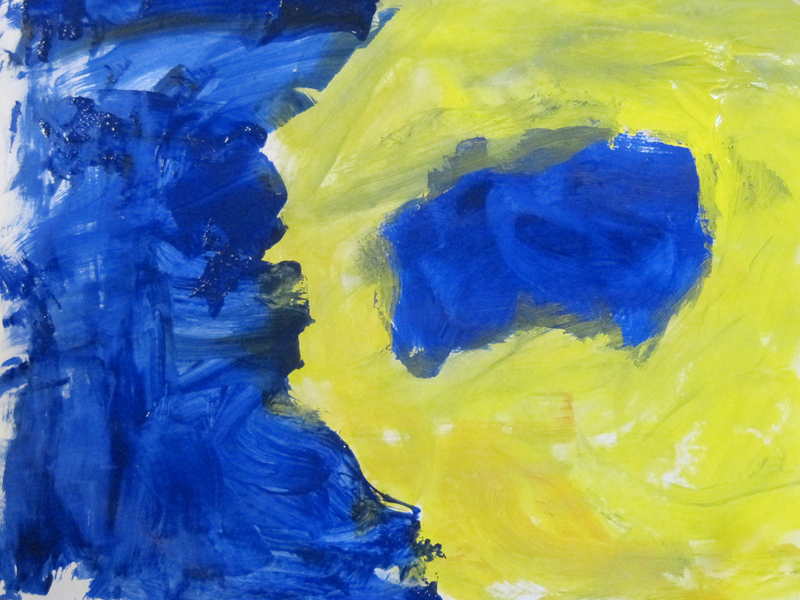 Meredith and I painted with our good friend Annika yesterday. 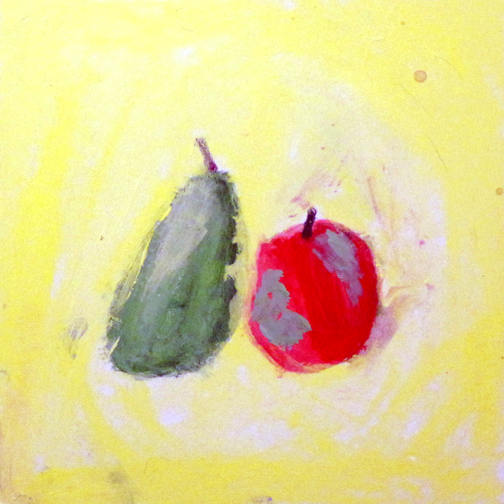 We started out painting fruit. Annika and I did a pear and an apple, and Meredith did a banana and an orange. 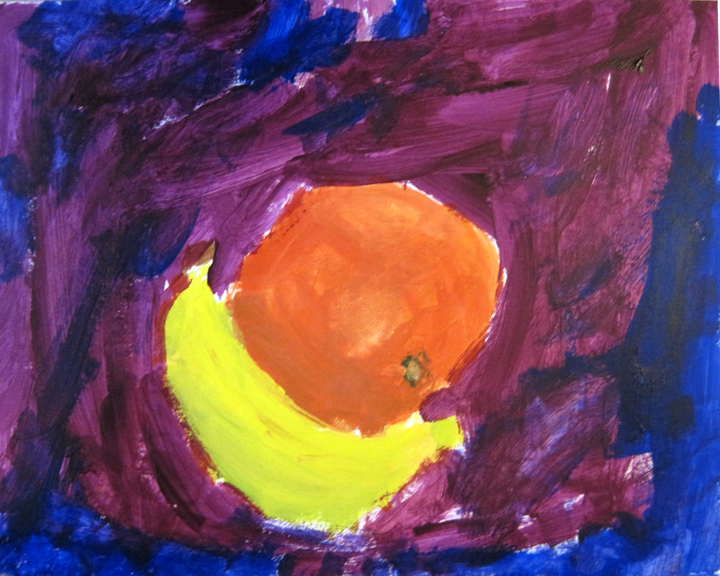 While I worked on my fruit, the girls finished and started on abstract designs. I had so much fun and I love how everything turned out. 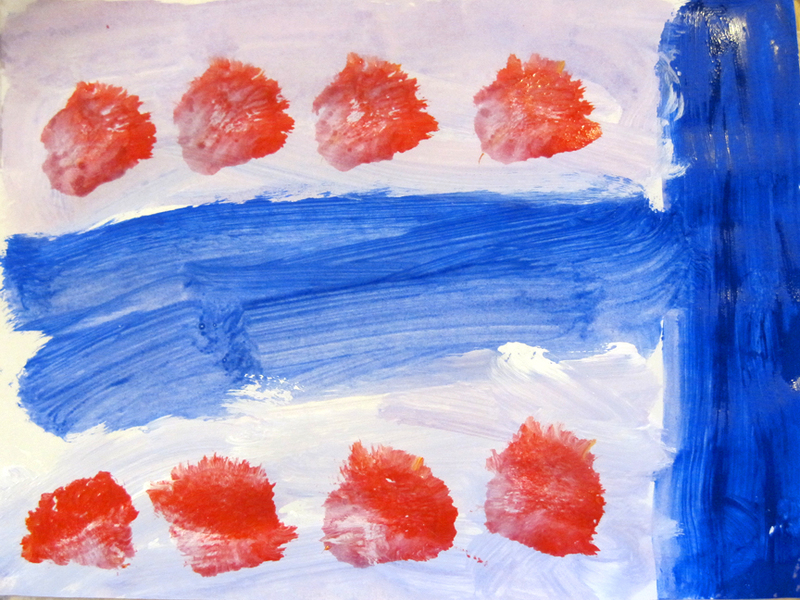 Annika’s younger brother Jonas started painted after we were through – the last four are his. 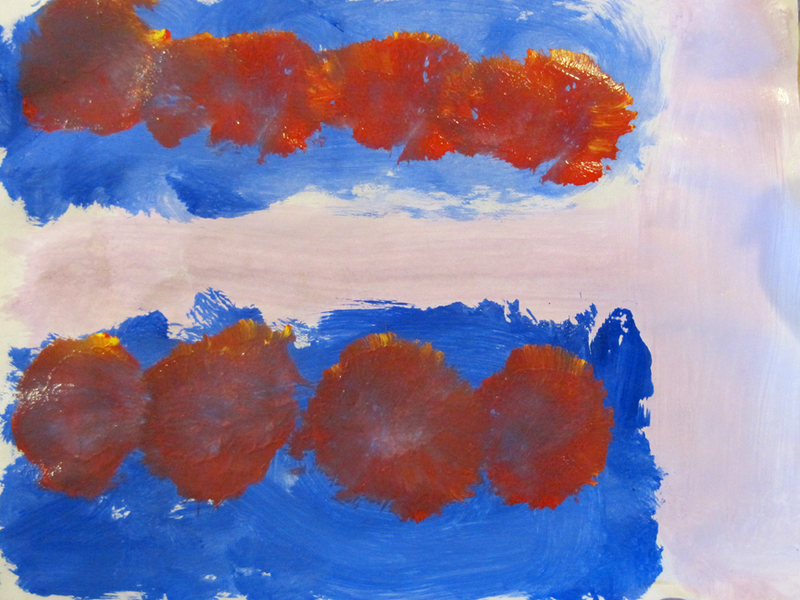 Look how he painted two designs, each in two different color schemes. I enjoyed watching him work. This is my 100th post! It’s been fun and motivational to record our art adventures this way. Thanks for the visits and comments. For the next three months my paintings are on display at an amazing store in Glenview called Lyzart. If you’re in the area, definitely check it out. I was fascinated with all the artwork, handmade items and crafts. Jewelry, ceramics, woodworking – I took some beautiful things home with me :). Thanks to everyone at Lyzart for all your help today, and for partnering with the Glenview Art League! 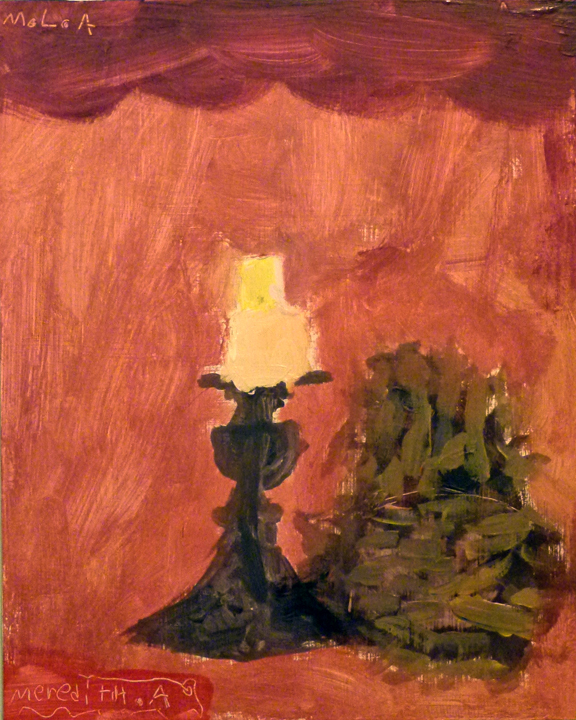 This entry was posted in Acrylic, exhibits, Painting with children, Still Life, The Anderson Family Painters, Uncategorized and tagged acrylic painting, Deb Anderson, exhibit, Lyzart, painting with kids, Still Life. Merry Christmas and happy holidays! Today the girls and I got ’round to a good old-fashioned ladies painting session. Meredith and I had many ideas of what to paint, and we agreed on one :). 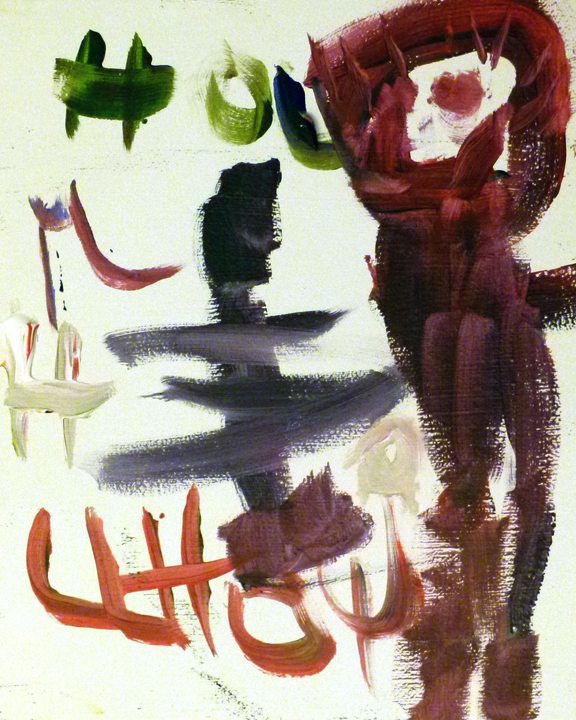 Meredith used to ask for a lot of advice and help when we’d paint together, but she’s independent these days. She has one proud mama. Once again she rocked the background. I kept peeking to see what color she’d choose. I love it. Holly refused to paint until bribed with chocolate. 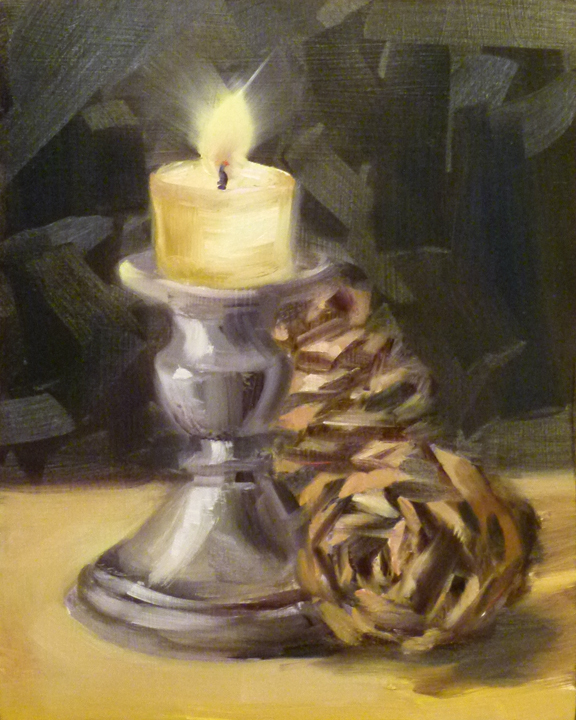 She quickly indicated the candle, replaced the pinecones with a portrait of her bearded Opa, and spent the rest of three chocolates worth of time signing her name. 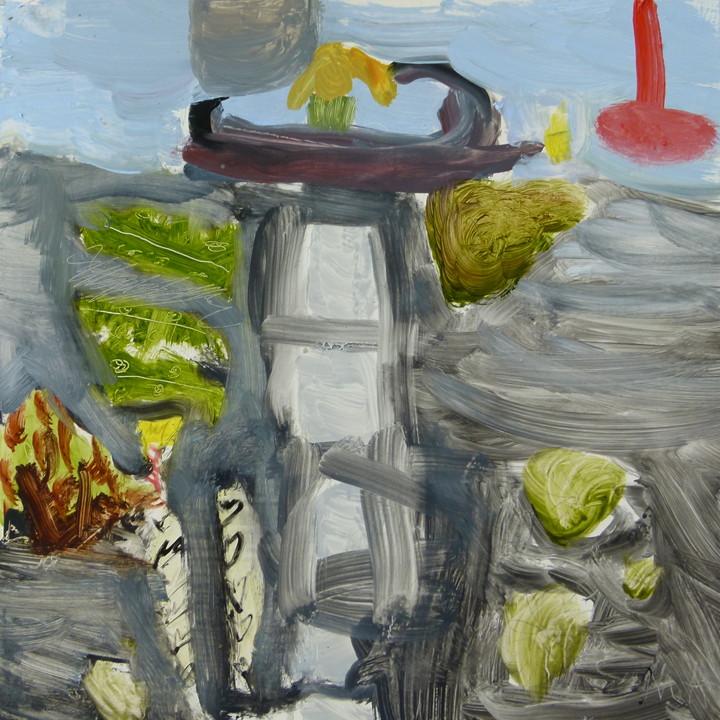 This entry was posted in Acrylic, oil, Painting with children, Still Life, The Anderson Family Painters and tagged acrylic painting, Deb Anderson, oil painting, painting with kids, Still Life. 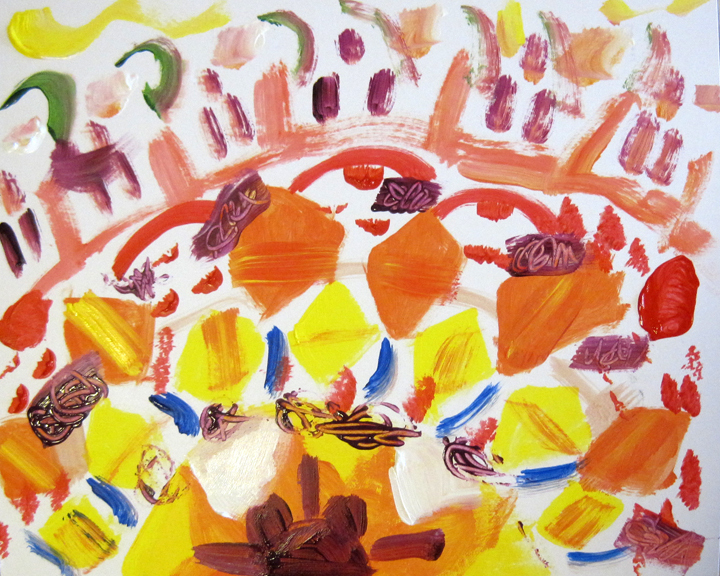 Cold rainy weather – perfect for a group art session. 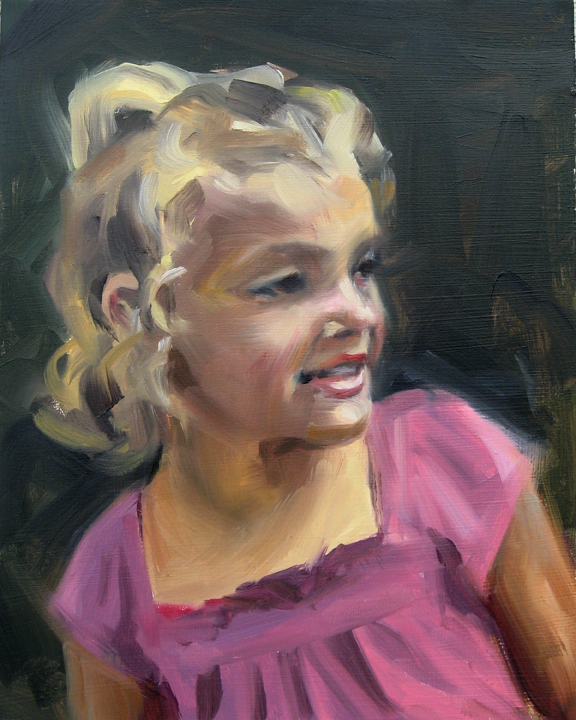 I tried out a few of Rose Frantzen’s methods, she has a great way of explaining what she’s doing when she paints. 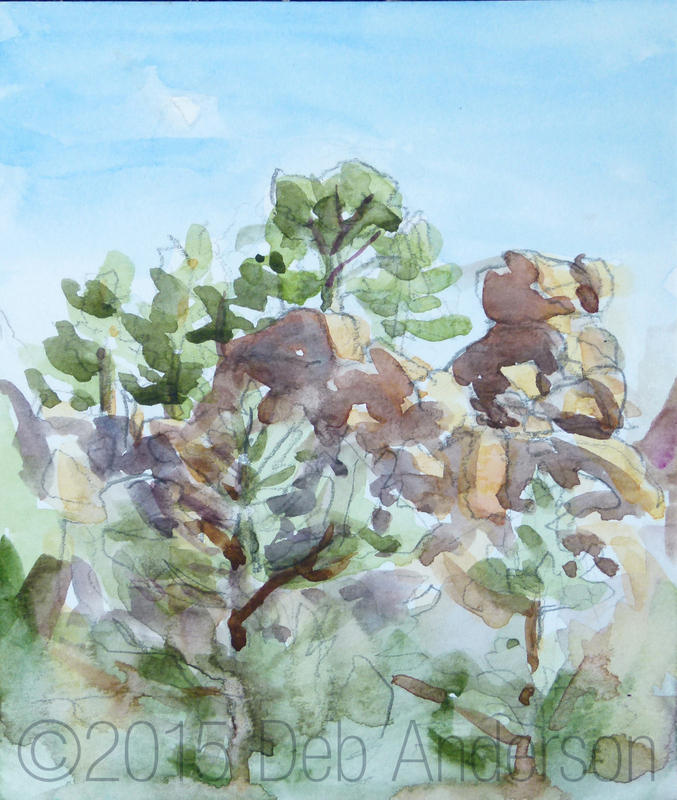 Painting and sketching from summer vacation photos brings me back to those fun times. We love and miss you guys! Meredith has been drawing a lot, and doing a great job of it. 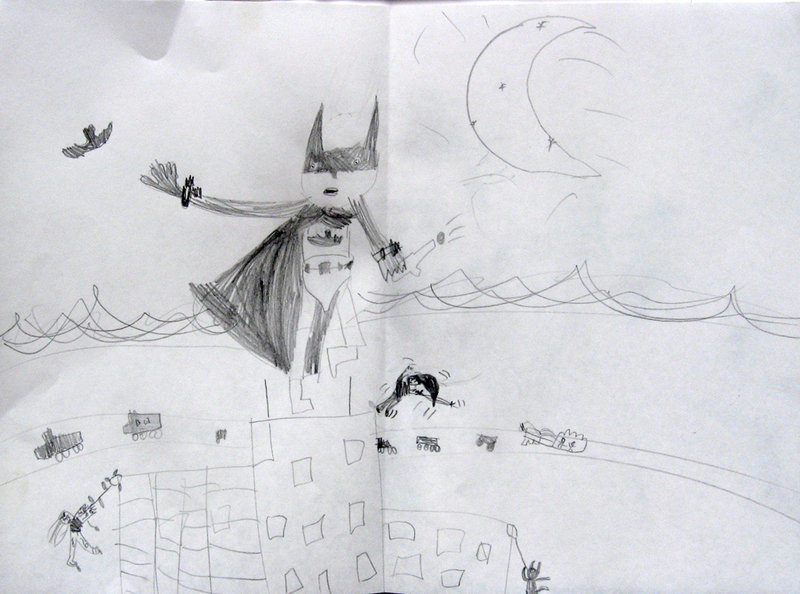 Here are two pictures – one of batman and one of an evil queen. 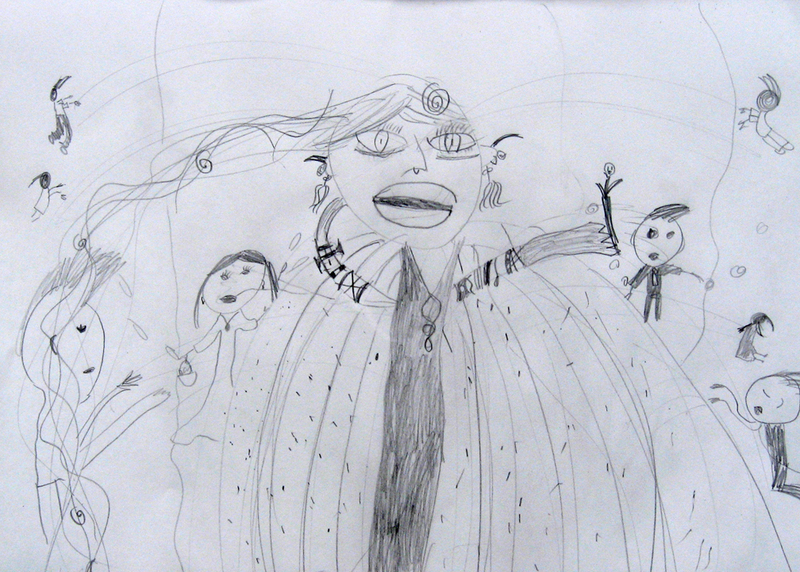 She likes her drawings to have a lot of story worked into them. I should take pictures of Holly’s paintings in progress. 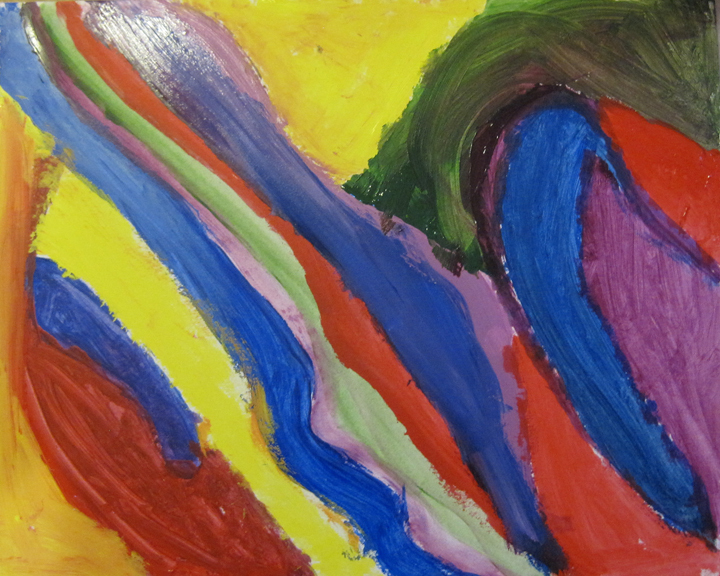 For this one, she did a lovely rainbow house, and then a terrible storm with a huge flood with giant waves. 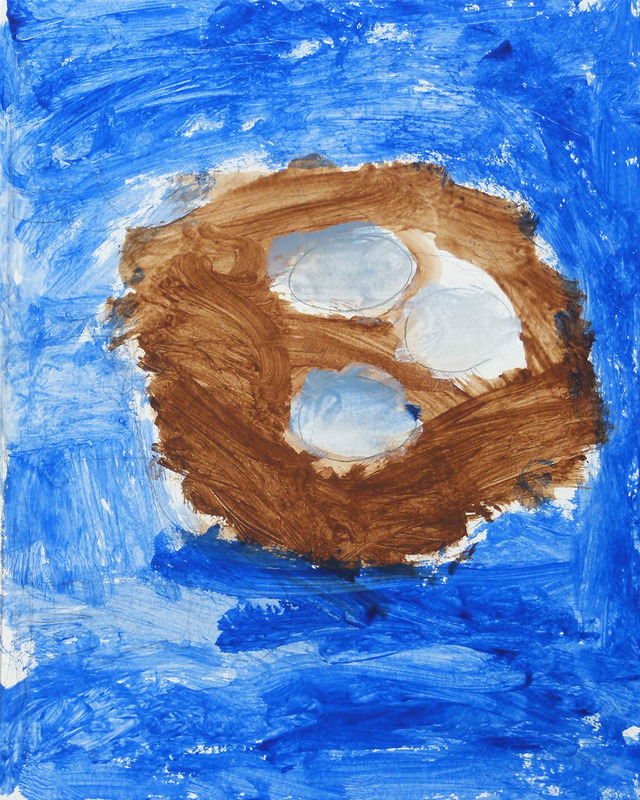 Then, just in time, she painted a strong protective shell over the house to keep all the rain and wind and water out. 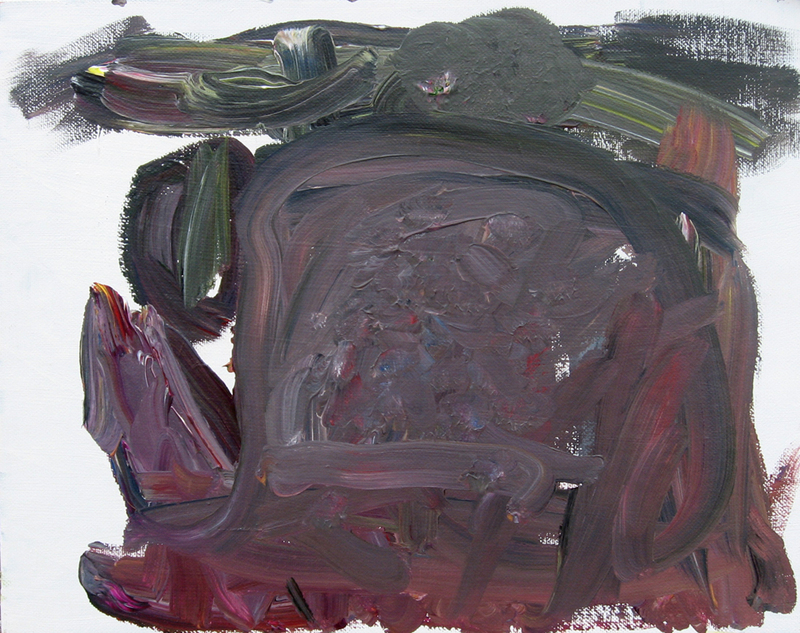 This entry was posted in oil, Painting with children, portrait, The Anderson Family Painters and tagged children, Deb Anderson, painting, painting with kids, portrait.